A federal court “tentatively” found equipment owned by Pacific Gas and Electric (PG&E) is the “most recurring cause” of wildfires that scorched the state in the past two years, NBC News reports. “The Court tentatively finds that the single most recurring cause of the large 2017 and 2018 wildfires attributable to PG&E’s equipment has been the susceptibility of PG&E’s distribution lines to trees or limbs falling onto them during high-wind events,” Alsup’s ruling said, according to NBC. “We are aware of Judge Alsup’s latest order and are currently reviewing,” the utility said in a statement, according to NBC. California officials faulted the utility for sparking 12 of 17 wildfires in 2017, but have not ruled on the source of any 2018 wildfires. Alsup’s ruling comes after the utility announced plans to declare bankruptcy around Jan. 29 in part due to the cost of liability for large wildfires. The company faces at least $30 billion in liability charges over 2017 and 2018 wildfires. 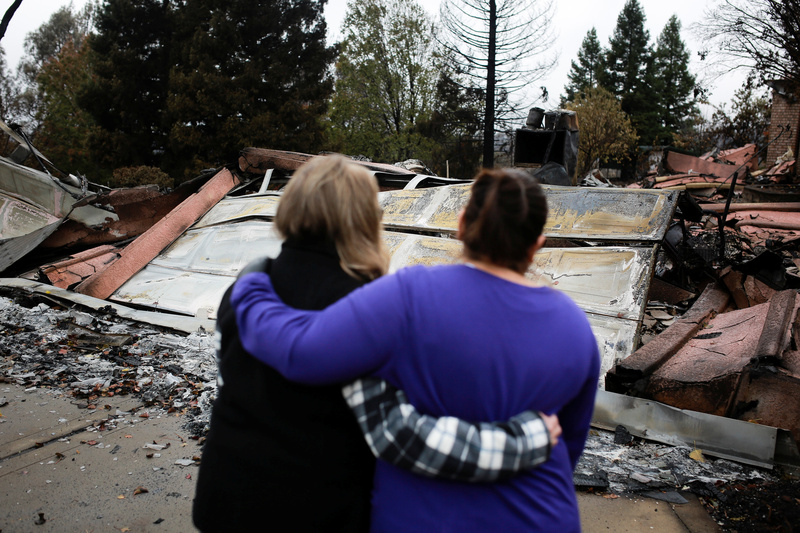 The bill is likely to go up as damages are tallied from the Camp Fire, the deadliest and most destructive wildfire in California history. The fire took the lives of 86 people and burned down thousands of homes, including all but destroying the town of Paradise. PG&E has not been officially blamed for the fire, but the utility has admitted some of its equipment located near the start of the fire malfunctioned around the time the fire began. PG&E’s CEO Geisha Williams announced she was leaving the company. The PG&E board of directors is pushing Williams out over fallout from the company’s liability in sparking deadly wildfires, according to Reuters, citing a source familiar with the plans.